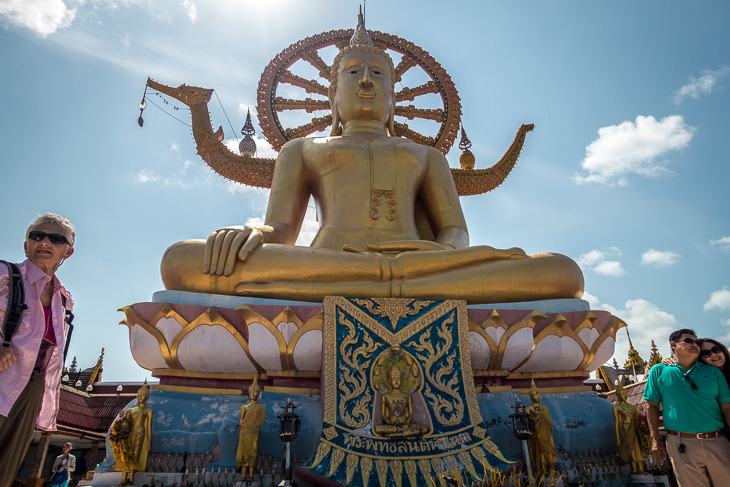 Ten days of temples and torrid temperatures in Thailand, Cambodia, and Vietnam. Angkor Wat, Big Buddha, and other must-see sacred sites – check. We rode an elephant, a tuk tuk, and a sampan. 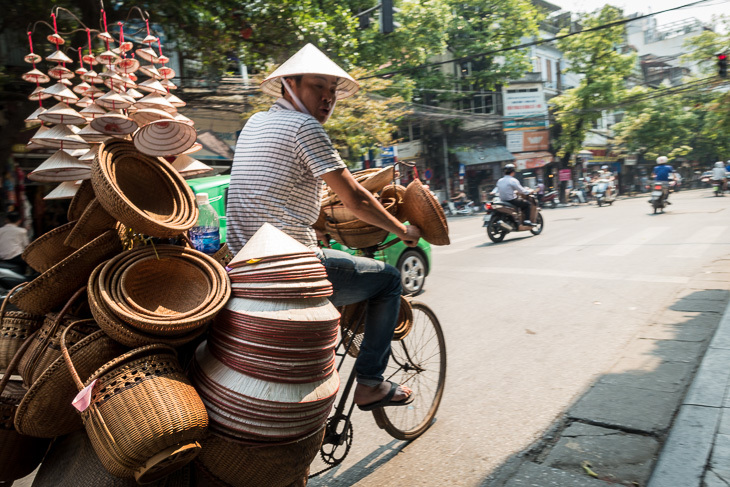 Our favourite tour: a guided bicycle ride through Saigon, the Kingdom of Motorbikes. A monkey would be useful if we lived on the island of Ko Samui, Thailand. A monkey can scamper up trees and pluck 1,000 coconuts per day, while a human can gather only 250. An elephant would be handy, too. Elephants can transport goods and people, and they bring good luck, but guess how much an elephant costs – more than a Lexus! Horrendous traffic and fabulous fireworks: that’s what we will remember about Bangkok. 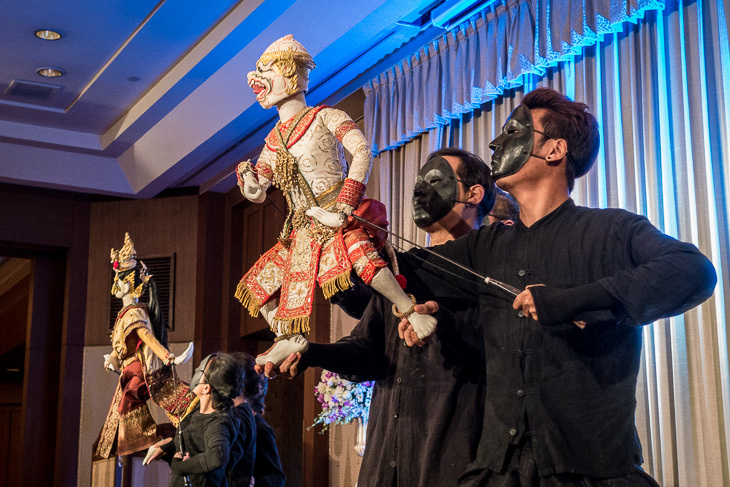 It took one hour to drive just a few kilometres from the ship to riverside hotel where Oceania Cruises was hosting Thai Extravaganza, a special event for world cruisers. Special it was: cocktails on the lawn, a sit-down dinner with a series of chili-based dishes, and a dinner show featuring traditional Thai dancers and puppets. The evening concluded with impressive fireworks over the Chao Phraya River. Well done, Oceania! It takes stamina to see Angkor Wat. You can’t help but be awed by the world’s largest religious monument, but it wasn’t quite as romantic or magical as we had imagined. Angkor Wat was hot and sticky-humid with very little shade, and we were sharing the experience with ten thousand other tourists – that’s how many people visit this archeological wonder of the world each day. The enormity of this 12th century temple complex is impressive. Our favourite section? Ta Prohm, the quiet sprawling monastery made famous in the film Tomb Raider starring Angelina Jolie. 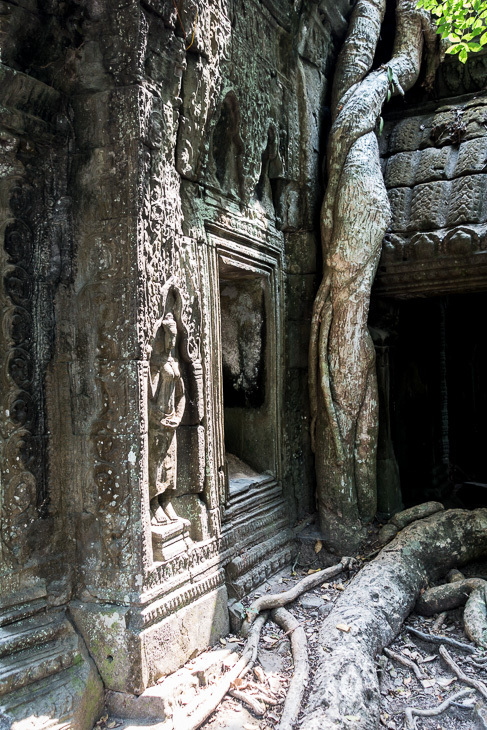 Ta Prohm has a forest atmosphere, with enormous fig trees that spread their gigantic roots over the stone. Temple-seeking tourists bring a lot of cash into Angkor Wat, but the money hasn’t filtered down to Cambodia’s rural areas, where rice-growing remains the primary industry. Walking through a small village in Ream National Park, it seems that Cambodia has not been as economically successful as its Asian neighbours. 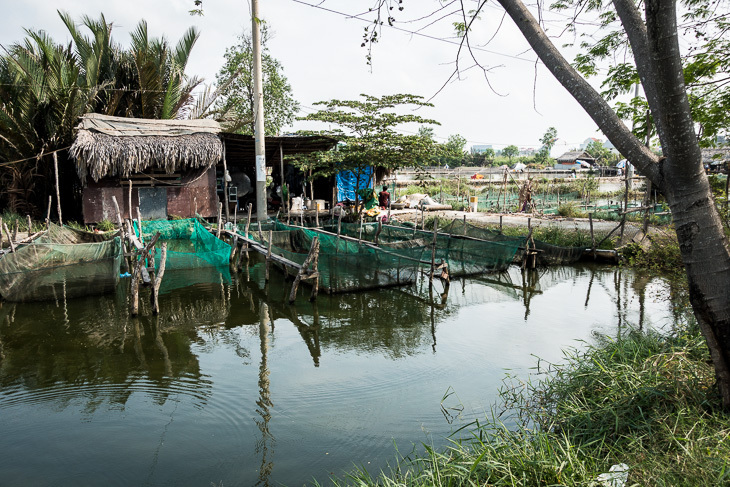 Although the standard of living is modest, the national park demonstrates Cambodia’s commitment to preserving its endangered wildlife and ecosystems. If you haven’t heard of Ream National Park, it is a short drive from the port of Sihanoukville. 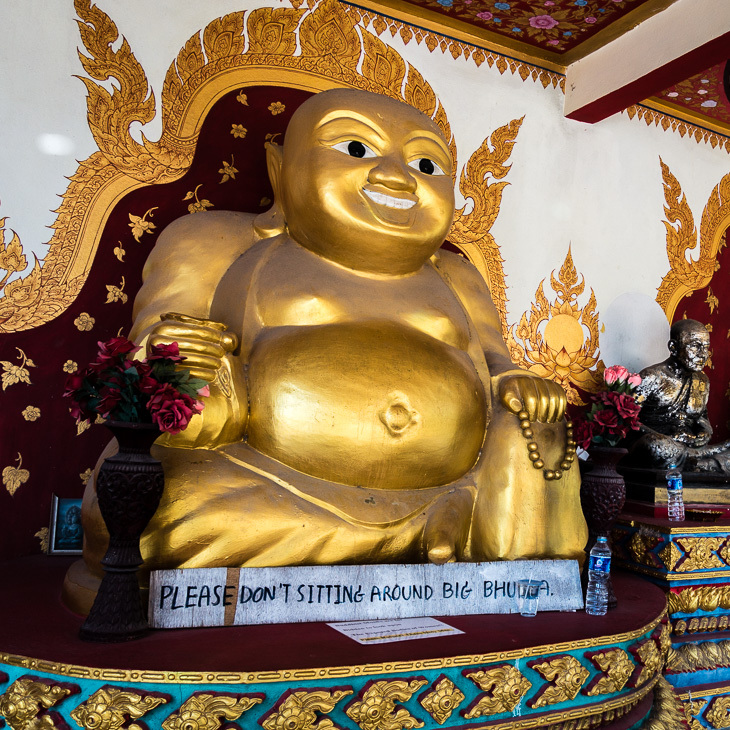 Our tour of the park included a boat ride down a mangrove-lined river, a ranger-led jungle hike, a visit to a small traditional village, and, of course, a temple. five million of them in Saigon alone! The wide tree-lined boulevards remain, but they are absolutely crammed with motorbikes. Crossing the street is not for the timid; the only obvious rules are (1) pedestrians have no right-of-way and (2) stuck hour (rush hour) should be avoided in this Kingdom of Motorbikes. Another change since our visit in 1995: that war that ended in 1975 is no longer called the American War. The name has been changed to Vietnam War probably to encourage investment from the USA. 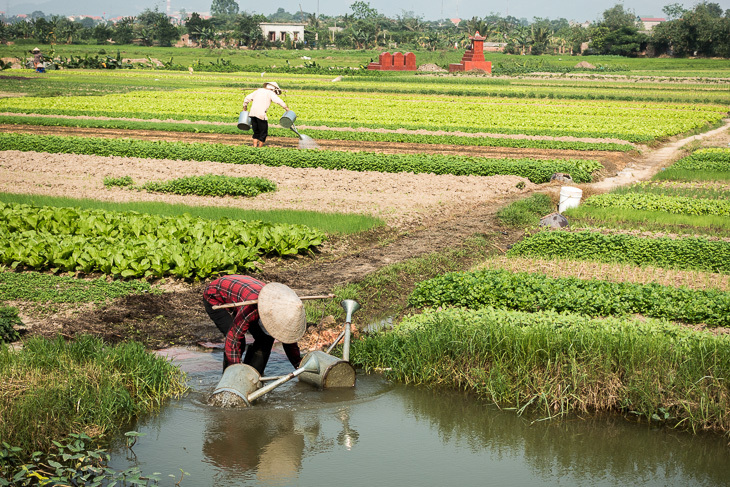 Changes are sweeping the country, and Saigon is the economic engine – a bustling city on the move. 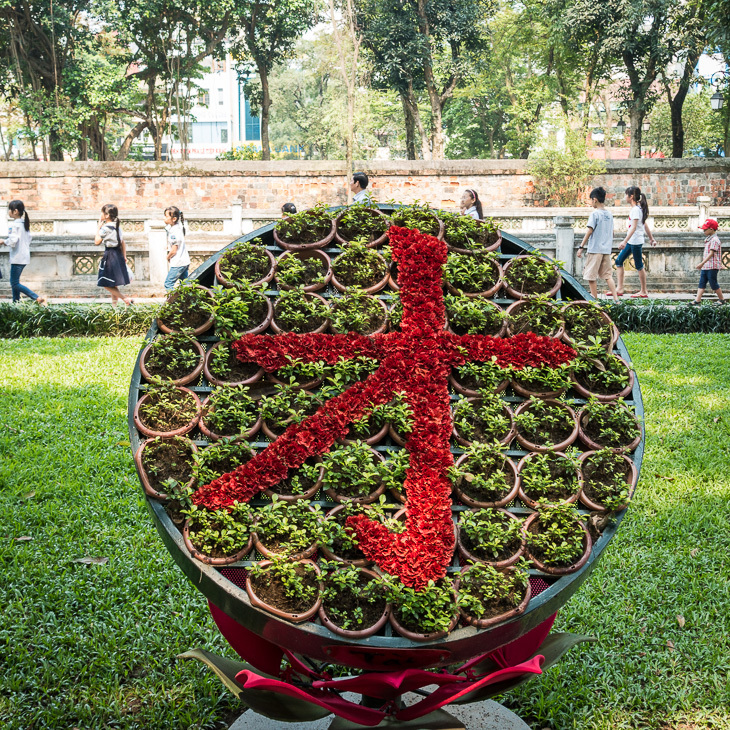 Hanoi, Vietnam’s capital, is growing up, too. We spotted a few hawkers in conical hats, and many of the yellow colonial buildings have been retained, but gone are the bicycles, the French baguettes, the girls in long white traditional dress, and the elegant, sleepy atmosphere. Hanoi has evolved into a sophisticated metropolis with high-rise buildings. Vuong, our guide in Hanoi, is a superstitious man. Like many Vietnamese people, Vuong consults with his fortuneteller and his feng shui master when making major decisions, e.g., choosing a spouse, buying a house, arranging furniture. Vuong and Mr. Lam, our driver, skillfully guided us on an overnight whirlwind tour that included the water puppet theatre, Ho Chi Minh Mausoleum, the Temple of Literature, and the infamous Hanoi Hilton, the Old Quarter. Tired of bus tours? 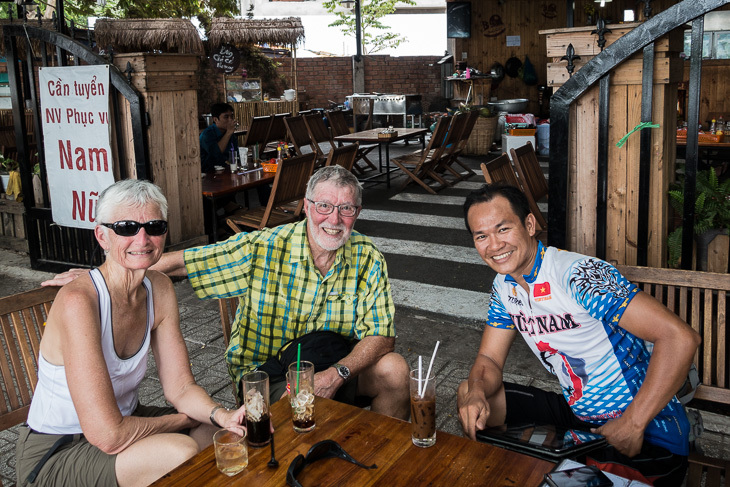 Here is our recommendation: See Saigon Countryside by Bicycle, a private tour we arranged through Tours by Locals. Nice bikes (Trek), great guide (Chau Le, “call me Joe”). Joe led us through city traffic (yikes!) to the countryside, where we saw rice fields, fish farms, ducks waddling across the road, snakes for sale, and a Caodai temple. Yes, it was hot and sweaty, but we made three stops for drinks (recommendation: Vietnamese coffee on ice). Ours was a half-day tour, cycling 40 km over level ground. Joe also does multi-day tours and treks; check out his web site, countrysidediscovery.com, for details. Two Latin line dancing lessons, one indoor cycling class, one cooking demonstration, three visits to the fitness centre, and a talk by our captain about Piracy on the High Seas: that’s all we have attended on our three days at sea. 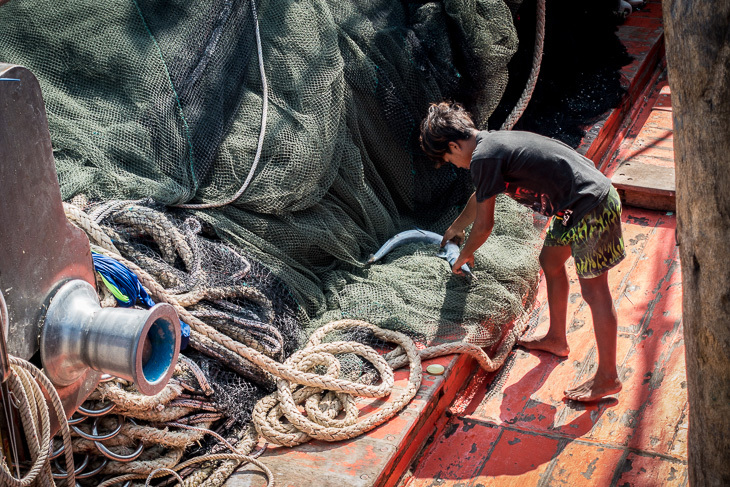 This is a port-intensive cruise, so sea-days are our chance to rest up. Evening shows, team trivia, shuffleboard, napkin folding, dancing with the Insignia orchestra: maybe there will be time for these when we cross the Pacific Ocean later in the cruise. This entry was posted in Asia, Bikes, Boots, Cambodia, Cruise, Thailand, Vietnam and tagged Angkor Wat. Bookmark the permalink. Survival tip for avoiding the motorbikes in Saigon: spot a local, follow at same pace and all will flow around you! Don’t stop to look around, it worked and we survived to tell the tale! Great blog, keep them coming. Thanks Lindsay We made it to Hong Kong, safely back in the land of crosswalks. Sounds like you’re having a busy and interesting time. The photography is exceedingly good! Thanks for your comments. It’s not hard to find photo opportunities in SE Asia.